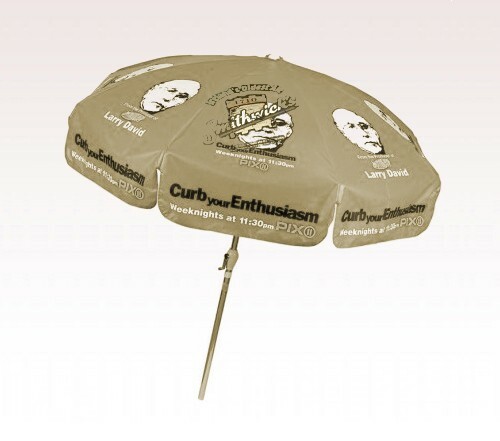 Personalized khaki 7.5 ft x 8 panel configuration vinyl patio /café umbrellas can show up from distance due to their treasured height and large canopy. People will be easily drawn towards the umbrella due to its colorful canopy. Marketers who wish to offer a good recreation time to their customers can meet their goals, by investing in this patio umbrella. It also makes a valuable promotional choice for marketers who are trying to establish their footage in a crowded market place. Features - 7.5 ft x 8 khaki vinyl patio canopy, wind vent (optional), and comes with 2 piece pole and tilt feature. Aluminum frame.